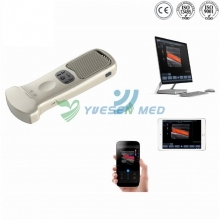 Applicable to the laboratory, cardiovascular medicine, emergency department, respiratory department, ICU, physical examination center, for the rapid diagnosis of patients with chest pain and the treatment monitoring of patients with heart failure and heart failure. 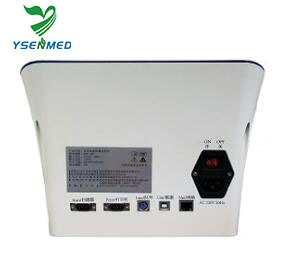 Fast and accurate, high sensitivity, stable performance, results in ten minutes, and 30 tests per hour can be completed. 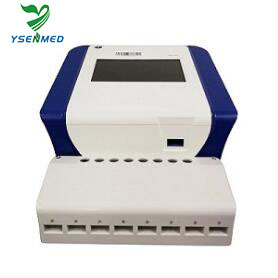 The intelligent immunofluorescence quantitative analyzer developed by the company is a high-tech product that combines optoelectronics, electronics, machinery, automation and information management. 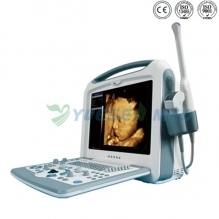 Structurally speaking, the analyzer includes a photoelectric part and a mechanical transmission part; from the perspective of information management, the analyzer consists of three parts: data acquisition, data transmission and data processing. The data is collected by the laser of the photoelectric part to excite the fluorescence, and then the fluorescence is completed by the imported high-sensitivity detector; the data transmission is completed by the signal amplification circuit and automatic control system of the mechanical part; the data processing is independently developed by the company. The operating system (NKD system 1.0) is completed. The whole system integrates technical support from optoelectronics, electronics, machinery, automation control and software information management.